Alaska seasonal jobs are a good solution for full time RVer’s as you can spend the summer working flexible hours, leaving plenty of time to sightsee. 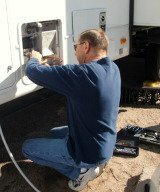 RV jobs often have nice perks like free sites, so you are basically getting paid to travel. Many different types of jobs are also available, giving you the opportunity to find something you enjoy or qualify for, or both. Pump the holding tanks once a week from May until August and twice a month after August 18. Sign an agreement with Anchorage Parks and Recreation, which entitles you to free parking and water. This position starts in May and ends around September 15, during which time you can make money, see Alaska, and enjoy the parks mountain views and trails. For more information or to apply call Steve at 907-351-2547. Seasonal employees for these companies receive a salary and other perks, such as inexpensive housing with heated rooms and a covered deck. The housing facility also has a common area with games, a satellite television, and pool table along with a coin operated laundry room, hot tub, and cooking and dining area. For all of this, employees pay only $250 a month in rent, which is cheaper than other rentals in the area and saves you the trouble of having to look for a place to stay, if you decide not to stay at an RV park. As an added bonus, if you finish out the entire season with Nenana and Denali, you are eligible for a bonus and get precedence over other applicants if you wanted to stay on through the winter and take on the expedition and hiking jobs. Of all the Alaska seasonal jobs, working on a cruise ship has got be one of the best. 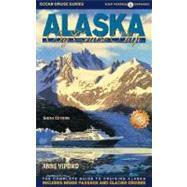 You can experience Alaska as well as other destinations, all for free and while earning an income. The salary for these jobs is based on your experience, skills, qualifications, and the position. A background check and motor vehicle record search are required for every position but credit reports are only pulled for select jobs. If interested, you may apply at alaskatourjobs.com. Alaska seasonal jobs are a great way to see the state and earn income while you’re traveling but before you embark on your journey, it is important to have money saved so that you are self sufficient while looking for work and to try and obtain a job prior to leaving your previous locale. You should also learn about Alaska’s landscape, as many areas do not have road ways while others are not accessible by car.